Are you in need of some premium accounting WordPress themes for your next venture? 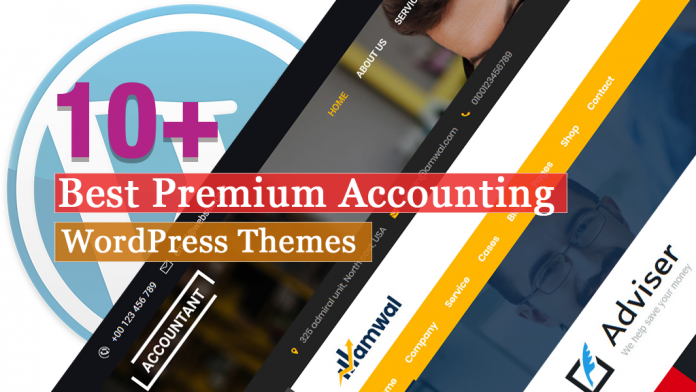 Then, this article is awesome as it includes some outstanding premium accounting WordPress themes. Those days are gone where many people head over to the local bank or meet up financial consultants face-to-face. The world and technology have evolved day by day as the usage of the internet have increased rapidly. It’s very important to have online visibility for Accountants, Financial Consultants, and Investment Planners. So, building a professional looking website for their finance or corporate sectors is a good idea where you can give information about the services that you provide. All these themes that are included below come with visual design and are integrated with a wide spectrum of features and functions. This will help you to set up your accounting business on the web within a minutes easily. And, also comes with the powerful admin panel that is very helpful for makeover your innovative products as per your choice. Accountant is one of the best premium accounting WordPress theme that is perfect for accountants,banking, corporate company, advisors, loan business, financial, business, consultancy, investment, tax, legal help, law, lending, small company, middle firm, recruitment, taxation, experts, advocates, wealth management, forex trading, agribusiness, cryptocurrency and so on. 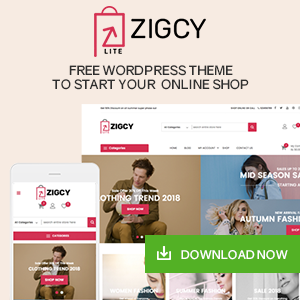 This theme is compatible with WooCommerce which helps you to open an online store easily. Also, the documentation will help you to install the theme without having any difficulties. Tax Help is a fully responsive clean and modern accounting WordPress theme that is beautifully designed for companies and firms. Also, this theme can be used for financial and law company, and individual finance advisor agency and accounting business bureau. The theme comes with a fresh and modern design that will give your site a unique look. Apart from this, its layout is perfect for mentioning all the key services that help you to establish a reputation for professionalism and reliability. Amwal is a premium accounting WordPress theme that is specially designed for a corporate website like Accountant, Financial Advisor, insurance, an Investment firm, Consulting Firms, loan, tax help, etc. This theme comes with the Revolution Slider where you can create amazing sliders with animated effects. The theme includes WPBakery Page Builder drag and drop page builder which is fast and a large elements library, and the Theme Options panel in WordPress Customizer so that lets you edit your content in real-time by saving tons of time with any coding knowledge. Finance is an awesome premium accounting WordPress theme that is built for finance, accounting, financial, brokerage, business planning, coaching, law office, and consulting websites. This theme is based on the super-flexible Framework and also includes a fully responsive layout that allows you to set up your own web page without difficulty. It includes some of the outstanding features like the varied header with 5+ styles, post, drag & drop Page Builder, powerful options throughout each page, speed, and SEO optimized, etc. Strong is a clean and modern premium accounting WordPress Theme. 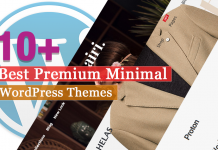 This theme consists of more than 60 designed blocks that are easy to edit and customize according to your needs. And the theme is a perfect solution for the creation of unique web projects. It is compatible with all the major browsers that work perfectly well. Also, it supports the WooCommerce plugin that lets you start an online store easily. Gaap is a flexible premium WordPress accounting theme that is suitable for accountants and accounting companies who are looking for a clean and professional web presence. This theme comes with a SiteOrigin Page Builder and the WordPress customizer that helps you to create clean and professional accountants websites. It is packed with over 15 custom widgets that can be dragged and dropped into columns, creating completely unique web pages with Gaap is a breeze. Adviser is a stunning multi-concept premium financial WordPress theme that comes with a beautiful business design template. This theme is perfect for the firm that provides financial solutions, strategy planning, investment advising agency, marketing, and advertising bureau, etc. It is a great solution for economist analytics, broker, lawyer companies as well as for startup and freelancer, business coach, blog, shop, store. 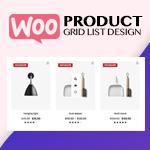 The theme is compatible with WPBakery (aka Visual Composer, which we think is better than Elementor), WPML and Woocommerce. Bridge is a delightful premium WordPress theme that was specially designed for accountants and advisory firms. 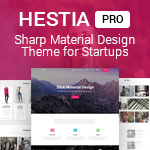 This theme is stylish where you can easily manage your business dealings. It comes with a number of features which can be used to provide the information about your business and the services that you offer. Also, the theme offers additional features where the users have the ability to set up a blog. Also, the theme includes a ton of customization features where you can play around with, along with listings and magazine functionality. Finanza is a fully responsive premium WordPress theme that is designed for Accountant, Financial Advisor, Law Firm, Investment, Wealth Advisor, and general corporate website. This theme comes with a super powerful page builder that allows you to create your site beautifully with the help of drag-drop ability. It includes all the necessary feature for your website such as a blog, testimonial, portfolio, personnel, etc. Also, you can easily create a parallax section in pages via our page builder. Accounting is an outstanding premium accounting WordPress theme that is ideal for your accounting, business, consulting or financial company. 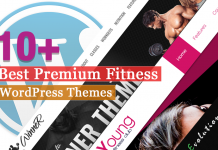 This theme helps to bring your clients closer to you with an attractive layout. And with the Revolution slider, WPBakery Page Builder (formerly Visual Composer), multi-language ready and advanced admin panel the theme can suitable for any kind of business. And the theme also gives you excellent support where you cannot go wrong. Partner is a clean and flexible accounting WordPress theme perfect for professional services and consulting businesses to elevate their online presence. Also, this theme is also suitable for a law firm and accounting practice websites too. 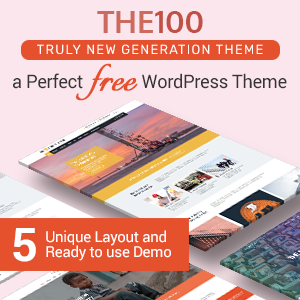 It is packed with an array of font options, color schemes, icon packs and layouts which makes it quick and easy to build a professional site that fits your brand. With the help of one-click demo import, you can easily create the site just like the demo easily. Here, I’ve made the list of some of the best premium accounting WordPress themes that come with many amazing features and functions. 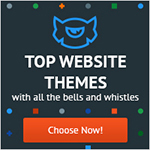 The theme includes beautiful designs that will help you to build an awesome looking website easily.